Worked as Senior Lecture in Calicut Medical College. 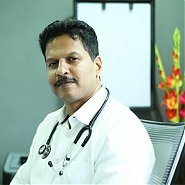 Worked as Consultant Physician and Diabetologist in MIMS Hospital Kottakal. Worked as Registrar in Al Amiri Hospital, MOH Kuwait. Worked as Consultent Physician in Jeddah National Hospital Jeddah. Registrar in Soudi Commission for Health Specialities.